Many of us hunger for information about our ancestors’ lives. Perhaps we have clues about where they lived and what they did, but we want to know more about their lives. Why and how did they make those decisions that would impact future generations? A MyHeritage user from Brazil had this question. She wanted to learn more about her great-grandparents when they lived in the US. She asked our trusted research partner, Legacy Tree Genealogists, to find the answers about her family. In the process of immigrating from Yugoslavia to Brazil, her great-grandparents Joseph Wright and Emily Horvat spent several years in the US. Her grandfather, Joseph Wright, was even born in Racine, Wisconsin. She wanted to learn as much as possible about their time in the US, and their early years in Yugoslavia (now Croatia). Legacy Tree Genealogists were fortunate to find fascinating family records. Read on to see what they found and how you can use these types of records to discover more about your own family. Joseph Wright and his wife Emily lived in Racine for much of their time in the US. In the 1920 census, they lived at 1044 Franklin Street with their four children: William, 5; Elizabeth, 4; Joseph, 2 years and eight months; and James, 5 months. Joseph owned the home with a mortgage and rented parts of it to two other unrelated families, likely for additional income. Joseph Wright arrived in New York City on 7 July 1911 on the ship S.S. Adriatic, which had sailed from Southampton, England nine days earlier. On the passenger list, he said he was Croatian from the town of Mlinska, Austria-Hungary, and that he was born in Austria. His nearest living relative was his wife, Emily Wright, in Mlinska; thus, Joseph had married Emily Horvat Wright before he immigrated to the US. Two years later, Emily Wright sailed from Liverpool, England on the S.S. Franconia to Boston, Massachusetts arriving on 24 October 1913. Joseph had already moved to Racine. However, despite thorough searching, they could not find naturalization documents for Joseph. It is possible he never naturalized, particularly if he only lived in the US for a short time. Possibly, Joseph began the process but never completed it. They also found that when Joseph and Emily left the US, they did not complete passport applications—an indication they were not US citizens. Vital records were ordered from Racine’s Register of Deeds. Joseph and Emily’s immigration papers implied they were already married before arriving in America, so no marriage certificate was on file in Wisconsin. However, they did find the birth record for their son Joseph Wright on 2 May 1917, in Racine. His parents, Joseph Wright and Emily Horvat Wright, lived at 1620 Hamilton Avenue, Racine. Father Joseph’s birthplace was listed as Hungary, and Emily’s as Austria. The birth record also noted two older siblings for their son. Birth certificates were ordered for Joseph’s Wisconsin-born siblings. New facts were learned from these records. Joseph and Emily had five children, but one had died before William’s birth in 1914; all birth certificates except Joseph’s mentioned a deceased child. Perhaps Emily was pregnant or already had a child when her husband Joseph arrived in the US. It was also clear that the family moved frequently, never living in the same home for two consecutive births. Church records for Dauphin County, Pennsylvania and, Racine County, Wisconsin were searched for Joseph’s family. 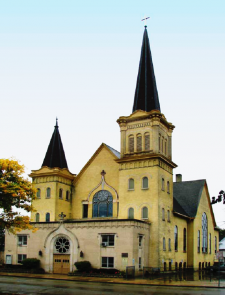 According to the client, Joseph Wright was baptized in the First Lutheran Church of Racine. It was built at 700 Villa Street in 1849, and its sanctuary, where the family worshiped, was dedicated in 1897. They searched the 1918 Racine city directory for a list of contemporary churches, and contacted the First Evangelical Lutheran Church of Racine to request the Wright records. The church generously provided the birth records of Joseph and his siblings. City directories help pinpoint a person in a certain place and time and include useful information about churches, cemeteries, and municipalities, and others with the same name in the area. The table below shows the family’s addresses in Racine, compiled from various sources, including city directories. A World War I draft card was found for Joseph Wright living at 1620 Hamilton Avenue, Racine. He had declared his intention to become a citizen, that he was born in Germany, and that he was a citizen of Germany. He was a machinist at Mitchell Motor Co., and supported his wife and three children. The Mitchell-Lewis Motor Car Company was a custom automobile manufacturer that built everything except for the wheels, tires, and electrical equipment. It closed after a period of disastrous model specifications, poor publicity, and the advent of World War I.
Mitchell Automobile Company-made car, ca. 1911 postcard. Joseph’s physical description was noted on the card’s second page: he was medium height and build, had brown eyes, dark brown hair and had no disabilities. Although his nationality and his surname’s spelling differed from other records, the street address, number of children, and employer were perfect matches. Joseph’s signature from his World War I draft registration card. DOCUMENT 16. The Racine Daily Journal published a 1917 article listing Joseph Wright and other “Mitchell Workers” as purchasers of $100 Liberty Bonds. During WW I, the US Treasury Secretary encouraged Americans to purchase government bonds called Liberty Loans. Well-known graphic artists created advertising. The posters rarely used the word “war,” and war bonds were always called Liberty Loans or Liberty Bonds. Purchasers could later redeem the bonds at 3.5% interest, while providing the government with necessary cash for the war effort. According to passenger lists, Joseph and Emily were from Mlinska – Emily’s record specified it as as part of Croatia. The village was near the town of Hravostac, Croatia. In 1865, Baron Tikery, the landowner in Daruvar, needed cash, so he had an old oak forest cleared and the timber taken to the nearest train station. Thousands of acres around Daruvar and Pakrac were now useless, so Baron Tikery divided the land into lots. His estate administrator found purchasers, mainly the sons and daughters of ethnic German settlers in Hungary. Thousands of settlers rushed to the newly-opened area, eager to leave the ravages of the 30 Years’ War in central Europe. The village was called Hrastovac, and smaller neighboring villages (including the Lutheran village of Mlinska) were also established according to religious beliefs. The geopolitical context of frequently changing boundaries in Europe during this era explains why the Wrights were referred to in American records as German, Hungarian, and Austrian, and how all three were technically correct at specific times. Transcribed Croatian church records provided more proof that Joseph Wright and Emily Horvat were from Mlinska, near Hrastovac. The passenger list for Emily Horvat Wright reported her father as Edvard Horvat. Her baptism was also discovered in the transcribed parish records. She was born 16 December 1892 in Mlinska to Edvard Horvat and Emily Broz and baptized on 20 December 1892 by Mihaly Grbics, a Greek Catholic priest from Pasian. Mlinska and Hrastovac were small villages without resident priests. The villagers’ children were baptized by whatever religious authority was in the area, regardless of the priest’s denomination. The Evangelical Lutheran parish records indicate that Mihaly Grbics performed all christenings from August through December 1892, suggesting the regular Lutheran priests were away or ill. Emily’s parents, Edvard Horvat and Emily Broz, were marked Evang, confirming they were not Greek Catholic. Although our allotted research time ended here, there are still many records available to continue tracing the Wright and Horvat families back in time. We were pleased to have learned so much about this family during their time in the US through census, immigration, newspaper, military, and church records. The family is representative of a unique group of people who, although ethnically German, had followed economic opportunity and fled oppression through several countries before settling in South America. Census, immigration, newspaper and other vital records in SuperSearch™ can be a treasure trove of information when you wish to discover more about your ancestors. Do you have multicultural immigrant families in your family tree? Let Legacy Tree Genealogists help you bring their stories to life! Hire a researcher today. I’m sure the family was thank full for all the information you found for them. I was so excited when I saw the word “Yugoslavia” since all my relatives on both sides of my family were originally from the former “Yugoslavia” I knew where they were born and lived before they arrived in the US from Bijela, Boka Kotorska, Montenegro, Savnik, Previs, Utinja, Gacesa Selo in Croatia and so many others villages to many to mention. Then I read your story with the records you located only one from Croatia – what a major disappointment for me regarding the former Yugoslavia side I had such high hopes for new information regarding Yugoslavia records not just one baptism. Where was the marriage record for Joseph & Emily or more records regarding there parents Edvard Horvat and Emily Broz in Croatia. I understand that research time ended but, it was sad to me that more time was not given to records in the former Yugoslavia as it was in the US. Did you have someone go to Croatia or was it done on line in the US? In USA my Yugoslavia Serbian & Croatian relatives, I have already located the following records: Passenger lists, World War I & II Draft registration Cards, all US Federal Census from 1910 to 1940, Declaration of Intention, Naturalization, Citizenship, City Directories, Children’s Birth records, Church Baptism Records, Death Records, Yearbooks, House Deed and many others. In the former Yugoslavia I was only able to locate a few records from the Croatian State Archives thanks to friend that did the research for me in Croatia. But, for Montenegro or Serbia many of the records were lost, destroyed or the churches do not have them any more due to many reasons like wars. Most genealogy sites in the US (Family Search) only have Yugoslavia records for Croatia churches. 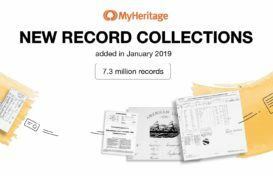 Many people that have relatives – Great Great Grandparents, Great Grandparents and so on are unable to get records going back to the 1800’s and early 1900’s for areas that I have mentioned. I was very thank full that my relatives brought to the US when they left the former Yugoslavia in the 1900’s there church baptism records, passport with the stamps showing all that they had to do to get to the US and some family letters and pictures with them before arriving at Ellis Island. As of today, I had people go to the churches in the former Yugoslavia where the baptism records came from to see if they can find my next generation relatives graves for dates – no luck with finding them. So how to you think Legacy Tree Genealogists can find my relatives records/graves in the former Yugoslavia that I have tried? It would be great if they would like to try for me at no cost to see if they can located any of the relatives old records or graves in the former Yugoslavia to prove to many of us that they can find actually find them in the former Yugoslavia. We need more records for the former Yugoslavia (Serbia, Montenegro & etc.) and I hope someday we in the US will see them.